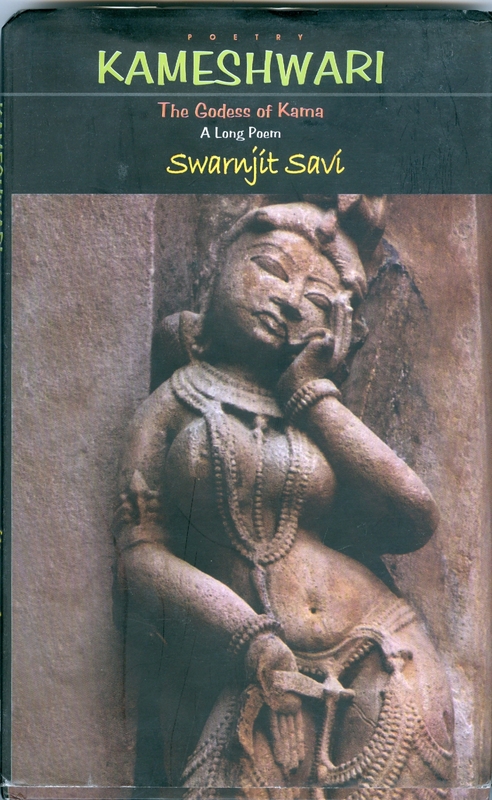 Kameshwari is a long Punjabi poem by Swarnjit Savi translated into English by Ajmer Rode. Kameshwari is a Hindu goddess of Kama or sexuality and Savi pays tribute to the goddess in this poem. The book published by Chetna Parkashan (2012) is adorned with many black and white classical figures portraying spiritual aspect of human sexuality as the poem in the book does. Savi, besides being a poet, is also a well known Punjabi painter whose paintings have been exhibited at numerous venues and who has illustrated numerous Punjabi book and magazine covers.